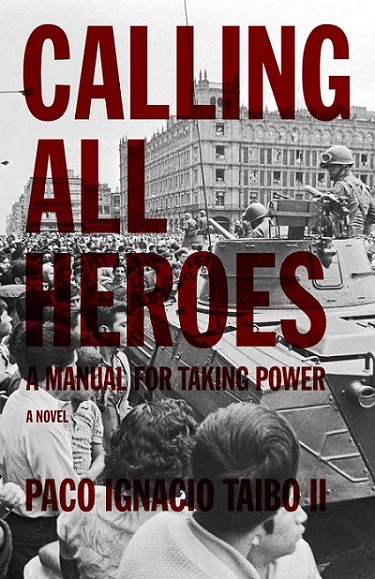 Book Review: Calling All Heroes, A Manual For Taking Power by Paco Ignacio Taibo II, Translated by Gregory Nipper, (Heroés convocados © 1982 by Paco Ignacio Taibo II), Published by PM Press. 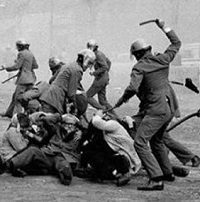 On the night of October 2, 1968, 10 days before the Olympics in Mexico, Mexican security forces opened fire on a student demonstration in Tlatelolco plaza, killing and wounding hundreds of protesters. Over a thousand were detained, many of them tortured and disappeared. 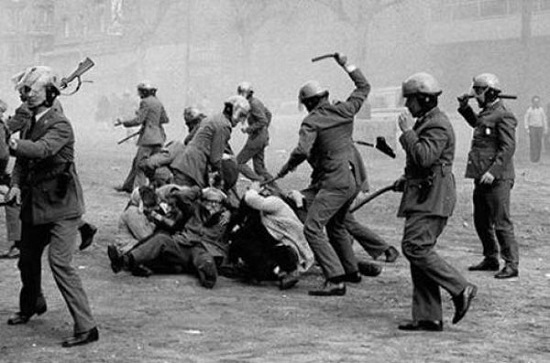 The powerful protest movement was crushed and the Tlatelolco massacre covered up by the government as quickly as they washed the blood from the streets. In a state of complete impunity, nobody from the ruling administration or the military was ever held accountable. While there is much discourse on the tactics and strategy of uprisings and revolutions, and plenty of literature produced in the wake of successful social movements and popular insurrections, the aftermath of defeat is often neglected. Taibo’s novel, then, dwells in the psychogeography of the space-time of the vanquished. Thus, two years after the massacre, our protagonist Nestor, like the moribund political movement, lies prostrate on a hospital bed. His mind moves deliriously upon the insurrectionary events of 1968, trying desperately to reconstruct and comprehend all that has happened. Through correspondence and bedside visitors, we learn the fate of Nestor’s former comrades: the political prisoners languishing in the dungeons of Lecumberri, the exiles that fled the ensuing repression, the ones that went crazy, the suicides. And then there are those that went underground, continuing to organize in clandestinity – more of them later. Nestor recalls the euphoric heights of the student movement—then in the 123rd day of a strike, supported by workers’ and farmers’ unions— when “hope for future fulfillment” seemed immanently possible. And then how the sudden crushing violence of the state forced the activists to “take refuge inside ourselves and in a bleak militancy.” Nestor notes how a few of the students “persist in behaving as if nothing had happened.” Deluded and in denial, they continue “in acting as if things were not in decline. A small militant division has taken over The Movement, and a handful of cadres have dominated a once-broad militancy.” Others are lost and confused: “I am tired of chasing the wind” writes one burnt-out activist. The general mood is despondent and bleak. At this forlorn juncture, Taibo’s novel takes off. How to combat despair? Nestor invokes the ‘68 slogan, Be realistic: Demand the impossible! by conjuring up a pantheon of heroes from his youth to put things right. Soon enough, characters like Sherlock Holmes, Doc Holliday, the Four Musketeers and the Kenyan revolutionary Mau-Mau are arriving in Mexico City and creating havoc for the authorities. This exhilarating leap into the absurd has echoes of the magical realism of other Latin American writer luminaries such as Gabriel Garcia Marquez and Isabel Allende, a genre that can be hit or miss according to the tastes of the reader. Nevertheless, there is no denying the atavistic sense of satisfaction felt as justice is meted out to the perpetrators of the massacre. Torturers get sliced by Byzantine scimitars, and the antiriot police fall under the hooves of the insurrectionary Light Brigade from the Battle of Balaclava. The Mau-Mau lose themselves in the maze of Tenochtitlan to later emerge and take Lecumberri prison, releasing all the prisoners and hanging the guards. Women don’t figure much in Taibo’s Boy’s Own imaginary revolt, but a female hospital assistant does get to heroically save the day as she takes down two secret police attempting to apprehend Nestor. All this rip-roaring adventure and revenge fantasy serves not only to titillate but also to fill the space of what lies in-between: in-between the defeat, and the resurgence. Nestor recovers, puts on his jacket, and filled with the phantasmagoria of his cast of pantomime heroes, takes off. Where are you going? they ask him. To return someday, he says. 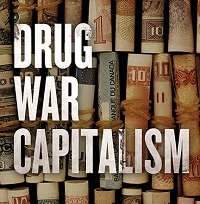 Readers may notice the striking similarities in the prose style of Calling All Heroes with writings of the illustrious scribe of the Zapatistas, Subcomandante Marcos. Marcos is a fan of Paco Taibo, and employs similar literary devices and absurd inventiveness; indeed the two co-penned the political thriller The Uncomfortable Dead (2006). Not one of Taibo’s finest moments, the book nevertheless represents one more intellectual link between the ’68 generation and the contemporary Zapatistas. In Calling All Heroes, Taibo mentions comrades who removed themselves to the city of Monterrey to organize clandestinely. By 1971, the presence of the new guerrilla nuclei, the FLN (Forces of National Liberation) was registered in the city. The origins of the Chiapas-based EZLN (Zapatista Army of National Liberation) lie in the FLN and–we may extrapolate–the ‘68 generation. As Nestor had promised, they would return someday, and this is one manifestation of that. The themes of revolutionary defeat and redemption in Calling All Heroes resonate strongly with contemporary struggles from Occupy to the Arab Spring, perhaps most poignantly in the aftermath of the Tahrir Square uprising. 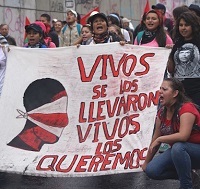 Within Mexico itself, one can’t help but think of the 43 students from the Rural Teachers School in Ayotzinapa, disappeared and presumed murdered in September, 2014. Like Tlatelolco, it was the state that perpetrated the violence in Ayotzinapa. And like Tlatelolco, the hope is that new powerful social movements will emerge from the carnage. In between, as Paco Taibo teaches us in this invigorating book, there remains the space for the imagination to take control. Ramor Ryan is author of Zapatista Spring (AK Press 2011) and Clandestines: The Pirate Journals of an Irish Exile (AK Press 2006).